BOOKMOBILE is a monthly YA online book club with an assigned book, a dedicated discussion comments thread and, at the end of the month, a super-duper special live chat with the author of the book! We are thrilled to implement this new activity on YA Highway and hope you’re eager to read and chat about some great books along with us! 1) The Book of the Month will be announced the first Monday of each month. Sometimes we will have books already lined up for subsequent months, while other times we will include a poll at the end of the book announcement post with choices for you, our readers, to vote on future months' books. Often, these books will be new (or newer) releases. Other times, we will have a theme month and include books that fit the theme in the poll, regardless of release date. Since we’re published and about-to-be published writers ourselves, we hope you understand that our own books are priority selections during our release months. IMPORTANT: Please do not illegally download monthly reading selections! Buying is great, but if that’s not in the cards (which is FINE!) please look for the book at the library. 2) The Book of the Month announcement is the post that will be used for discussion. Please limit your comments to that post only. Blogger’s new reply function makes it easy to directly address another reader’s comments. It is imperative that book discussions are handled respectfully. Differences of opinion are highly valued; trolling will result in comment deletion. 3) Live author chats (yay!) will occur on the last Tuesday of each month. 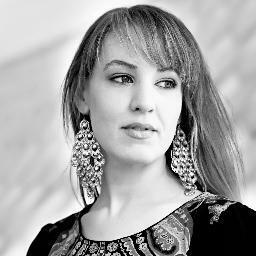 Want to know what inspired the author? What the author’s process is like? What the author is working on next? Show up to chat! These will be moderated by YA Highway to facilitate ease of the conversation and to get the most out of each chat. Exact time and place for chats will be announced via our twitter feed and FB page, so be sure to follow one or both. 4) Add our BOOKMOBILE graphic to your blog to show you’re an active member of our reading team! 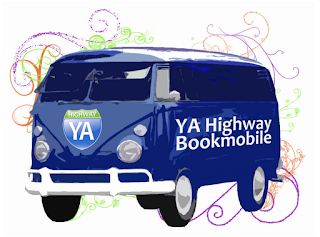 5) AUTHORS ONLY: Do you have a YA book releasing soon that you’d like to be considered for BOOKMOBILE? Follow the link to our author questionnaire to be added to our BOOKMOBILE list of potential books. That's it! We hope you're as excited about this new feature on YA Highway as we are. We can't wait to read and discuss great YA lit with you!!!! Oh, I like this one. :) I'm going to go with Times Like These. I always thought if I wrote a memoir it would be called All the Guys I Never Dated (with chapters on all my major school crushes), because it would be a lot more exciting than a recounting of the guys I did date. I have also toyed with a memoir of my life growing up with a brother with autism entitled My Brother the Spy. Love the idea of All the Guys I never Dated :) Would be fun to write and read! Oohh, I love that title, too! Loved this question, because I already knew the answer: Eight-Legged Demons. What a fun question to ponder! Question -- how is everyone posting a link as text? I totally cheat--I open a new post in blogger and convert my text to a link like usual, and then copy it here. I usually have the Blogger dashboard open anyway since I'd just finished my post. Here's mine. That was tough! Can't wait to read everyone else's. I kept coming up with stupid ones (Teched By an Angel? Come on!) so I also recommended a few books. here's mine See everybody on the road later today, gotta dash! I think I'd call mine The Closet Sinistral. Even though deep down I knew even before I knew, I was in the closet about the true extent of my left-handedness for most of my life, and rather confused and discouraged because a lot of people still don't understand that handedness is not measured solely or primarily through one's primary writing hand. I didn't blog on this because I was working on a campaign challenge today, but I came up with Almost Awesome. Here's mine - not as easy as I thought it would be. I have two titles! One for my "adult" self and one for my "teen" self.